With so many different trends, practices, and products currently on the market, beauty enthusiasts have so many options when it comes to the ways they like to wear their makeup. However, almost all of them share one similar goal – to enhance their eyes with glamorous, full, bold, voluminous lashes. The two primary ways with which this can be achieved is by applying false eyelashes or lash extensions. Although they may seem to produce the same result, they are two very different products. From the way they feel to their overall appearance, each has its own characteristics. Here are 9 ways that fake lashes and eyelash extensions are different. 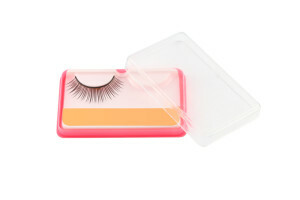 False lashes are usually sold with a container of adhesive, and many include a strip of glue already applied to the back. To place on your eyelashes, simply apply the glue (if applicable) and place it directly on or slightly above your natural lash line. Although this requires a steady hand, it is easy enough for anyone to apply onto their own eyes in just a few minutes. On the contrary, lash extensions must be applied by a professional at an eyelash extension salon, such as Luxx Lash Salon & Boutique. This is due to the difference in the product itself. Unlike the strip design of fake lashes, volume lashes are applied individually onto each existing eyelash. The entire application process can take up to two hours, which is a great time to sit back, relax, and enjoy the pampering. Contact Luxx Lash Salon & Boutique today for longer, fuller lashes! False lashes can be found at beauty stores, drug stores, and even supermarkets. They cost anywhere from $4 to $30, depending on the brand and where they are purchased from. However, they must be changed daily as sleeping with fake lashes can cause eye infections. Although some can be reused, the cheaper varieties can only be worn once, as they begin to look tattered after the first use. Since they must be applied by a professional, eyelash extension costs are significantly greater than that of traditional fake eyelashes. In addition, these lashes are made from materials that are higher quality than falsies. For example, mink eyelash extensions are made from fine mink hair to give a beautifully natural look with maximum volume. This also contributes to a higher cost. However, with regular maintenance appointments and proper care, Xtreme lashes can last up to 1 year. That’s 365 days of long, luscious, fluffy, semi-permanent eyelashes. When you compare eyelash extension price to the total cost of wearing fake eye lashes for one year, lash extensions are actually a much more affordable option. As mentioned previously, false eyelashes are made of low quality artificial fibers that are heavy. A strip of fake lashes laid flat on your eyelid disrupts the natural movement of the eyes. Eyelash extensions, however, are designed to be identical to human hair, both in appearance and weight. With feathery-light lashes, you’ll forget you’re wearing anything but the eyelashes you were born with – unlike fake eyelashes which weigh heavy on your eyelids. Find out the rest of the differences between false lashes and eye lash extensions in Part 2!